The grants from the Affordable Care Act, announced by the US Department of Health and Human Services, will enable the centers to expand to serve an estimated 41,000 new patients in Florida. If there is one lesson we have learned from the recent recession and its painful fallout, it is that an alarming number of Americans lack the basic dollars-and-cents understanding they need to navigate today’s global economy. The gap between what people know and what they need to know is widening every day. Whether rich or poor, residents of the United States or China, illiterate or college graduates, parents who have books in the home increase the level of education their children will attain, according to a 20-year study. Nearly 80 per cent of Canadian business leaders say they have a hard time finding qualified employees, with nearly half attributing the problem to low literacy and essential communication skills levels among workers. 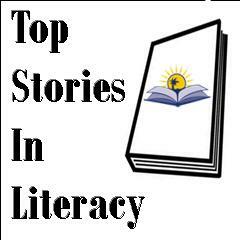 This entry was posted in Literacy News by Florida Literacy Coalition. Bookmark the permalink.